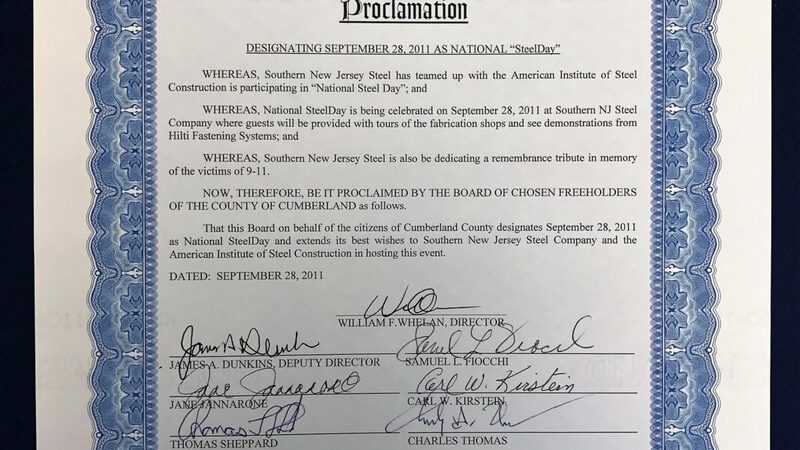 As a result of SNJS hosting a SteelDay event, the Board of Chosen Freeholders of The County of Cumberland has Proclaimed September 28, 2011 as National SteelDay! On this day, tours and demonstration will be given in relation to steel fabrication. 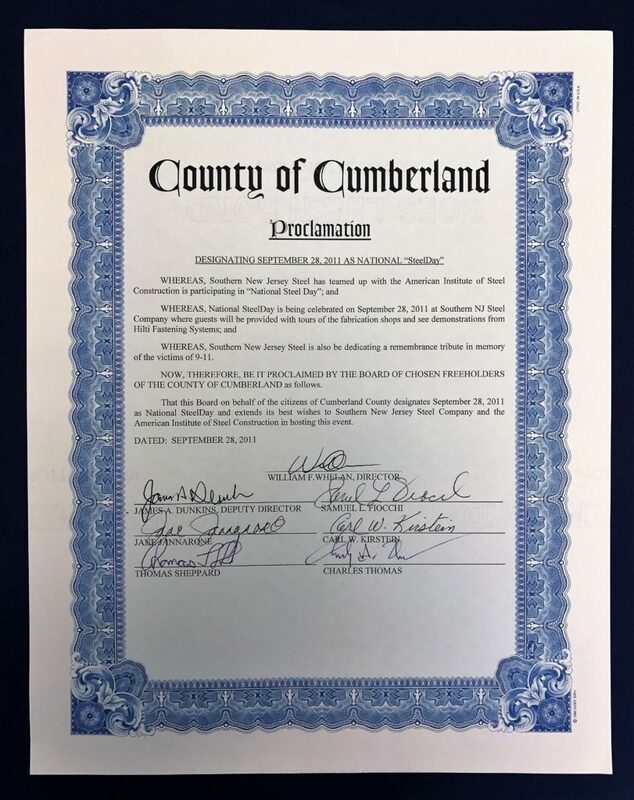 Additionally, SNJS will be dedicating a remembrance tribute in memory of the victims of 9/11.